*NOT AVAILABLE FOR SURESHIP. 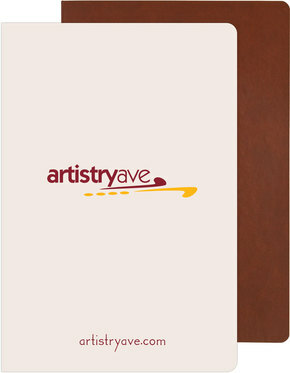 Flexible wraparound covers in soft vinyl (9 colors available). Includes a blind deboss imprint (16" sq. imprint area) , (1) full-color 1-sided insert, and 80 sheets of off-white, ruled filler. Features a paper pocket inside back, matching satin ribbon bookmark, and elastic privacy closure.